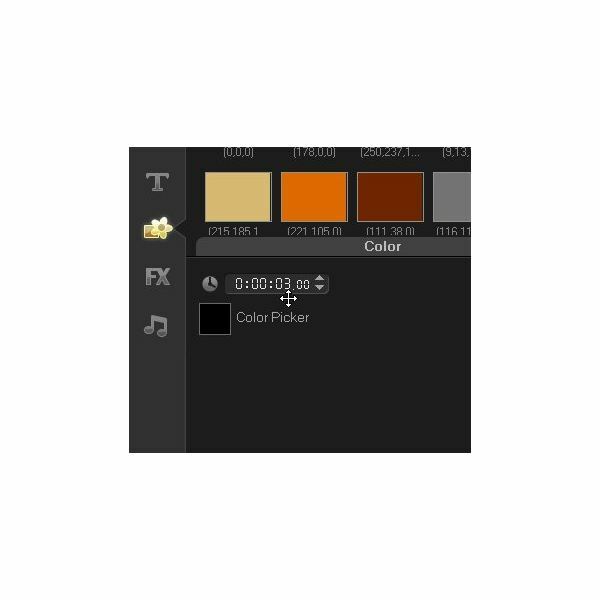 One of the most basic and elegant transitions that you can add to a movie in VideoStudio Pro X3 is a Fade to Black effect. 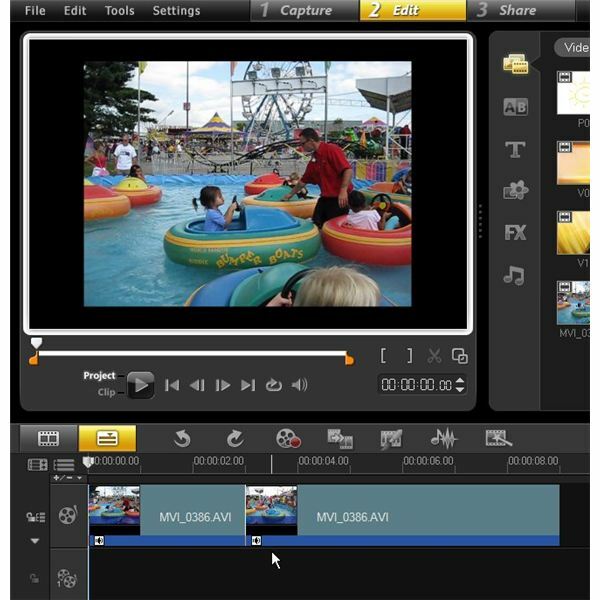 This effect allows for a nice, smooth transition between video clips, and it can also be used to introduce or end a movie. 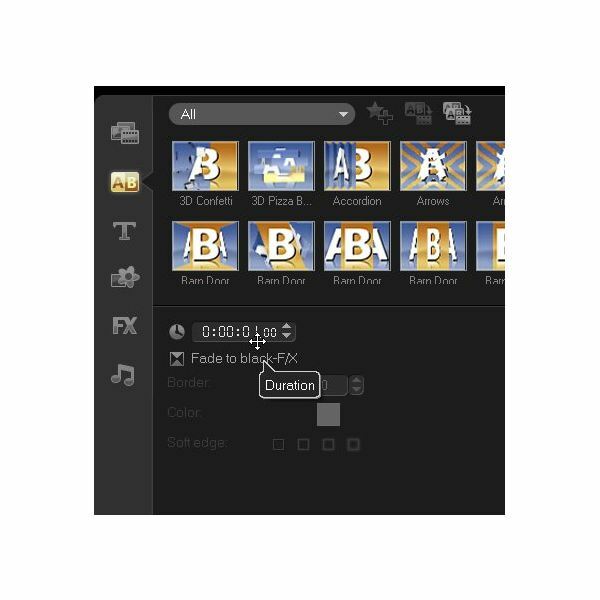 In this tutorial, we’ll first describe how to add a Fade to Black transition between two video clips and modify the duration of that transition, if needed. Then, we’ll take a look at how to use this transition to fade into the first clip of a movie or fade out of the last video clip. 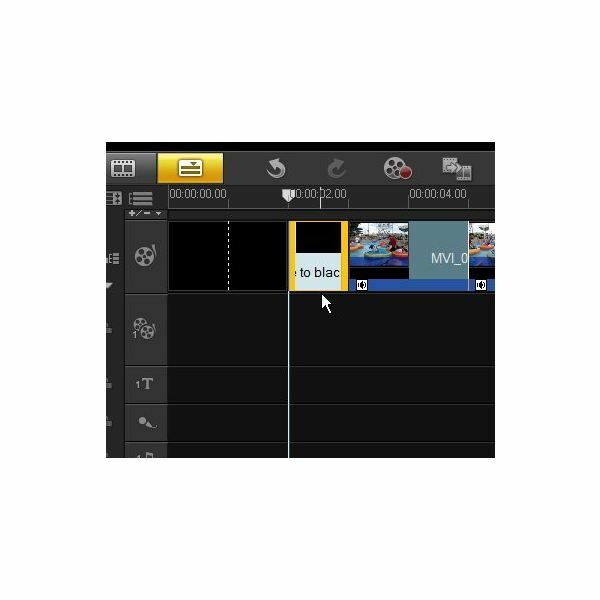 Transitions in VideoStudio Pro are designed to be positioned between two clips, so creating a fade effect from one video clip to another is fairly straightforward and can be accomplished by following these steps. 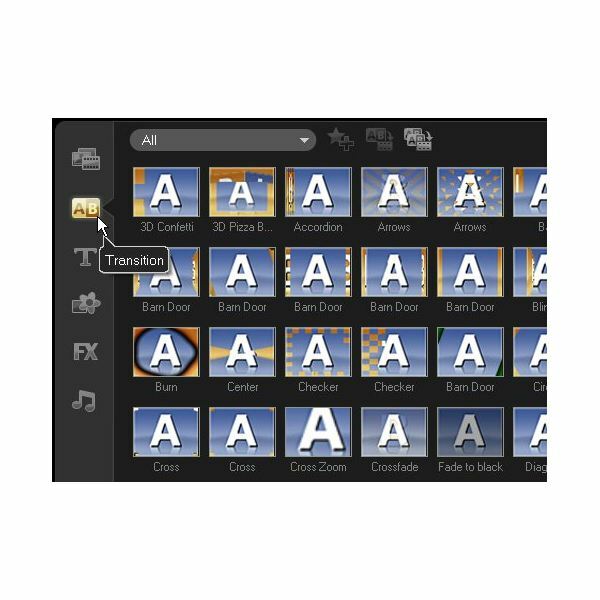 Step 2: Click on the Transitions icon. Make sure that the selection in the drop down box is set to All. 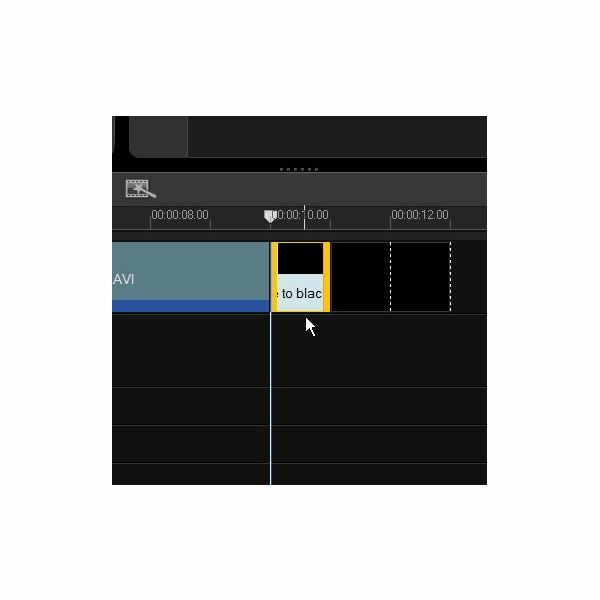 Step 3: Locate the Fade to Black transition and drag it to the timeline, positioning it on the separation line between the two video clips. If you’re happy with the default settings of the Fade to Black transition, then you’re done. Otherwise, you can right-click on the transition in the timeline and select Open Options Panel. This action will show the customizable options available for the transition in the upper right quadrant of the application. One thing that you can do here is change the duration of the Fade to Black transition. By default, the transition is set to last 1 second, but you can shorten or lengthen that duration if you like. 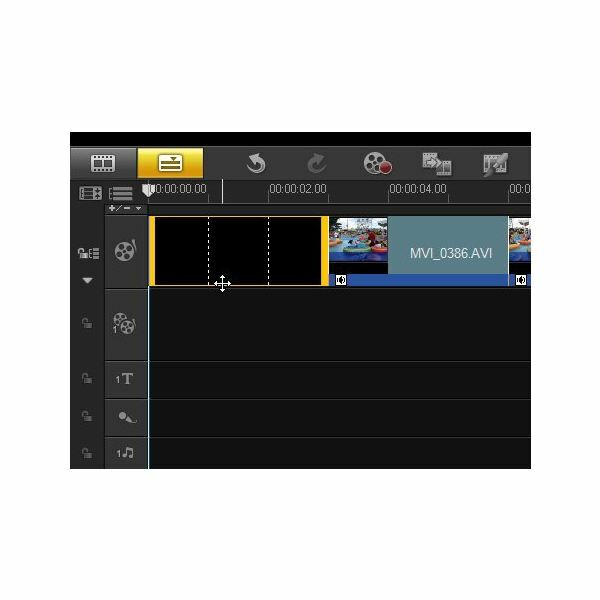 Since transitions are designed to go between two video clips, you have to do a little more work if you want to fade into the first clip of a movie. Basically, you have to add a "dummy" black clip to the beginning of your video and then insert the transition. These steps will explain how. 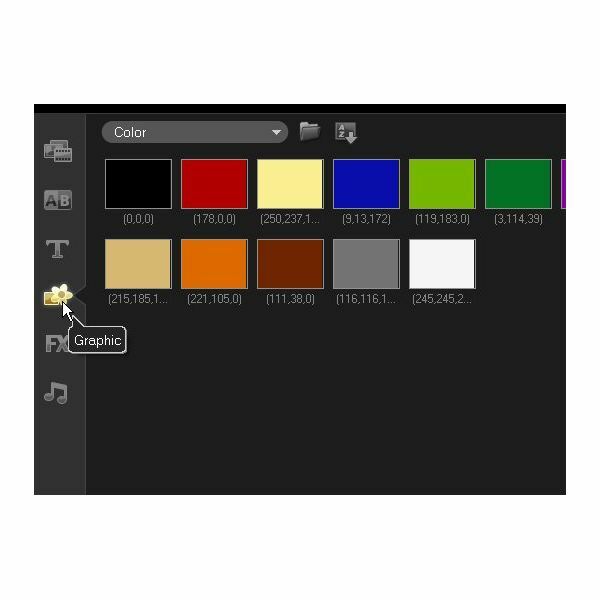 Step 1: Click on the Graphic icon in the tools area of the application. Then, choose Color from the drop down box. 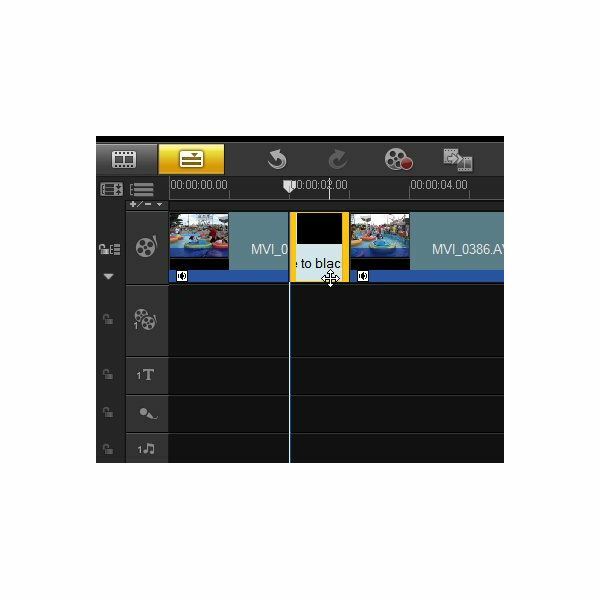 Step 2: Drag the black clip to the beginning of the timeline, before the first video clip. 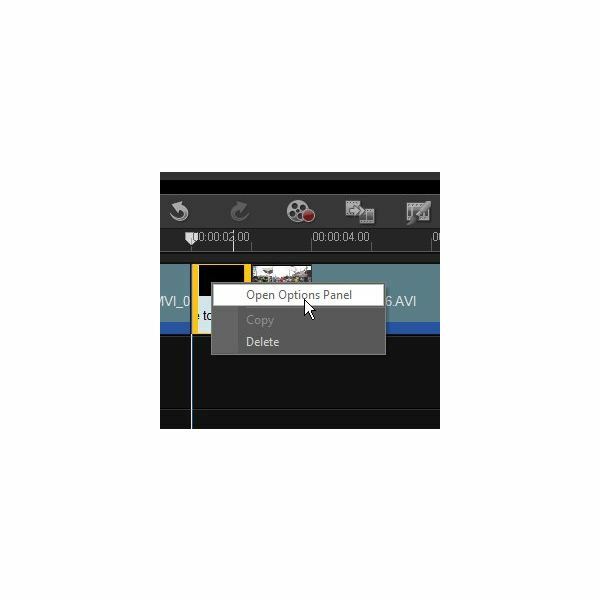 By default, the inserted clip that shows nothing but a black screen will have a duration of 3 seconds. If you want to modify this, right-click on the clip and select Open Options Panel. You can then change the duration to any interval you like – just make sure that it’s long enough to support the transition that you plan to add in the next step. Step 3: Now, add the Fade to Black transition between the newly inserted black screen clip and first video clip in the same manner as in the previous section. The process of adding an effect that causes the last video clip of a movie to fade to black is basically the same as in the previous section. The only difference is that you would add the black screen clip to the end of your timeline and then insert the transition between the last video clip and the newly added black clip. This same technique can be used with other transitions in VideoStudio Pro as well. Also, instead of adding a plain black screen clip to the beginning or end of the timeline, you can add a title screen or other type of clip to make the effect even more interesting.